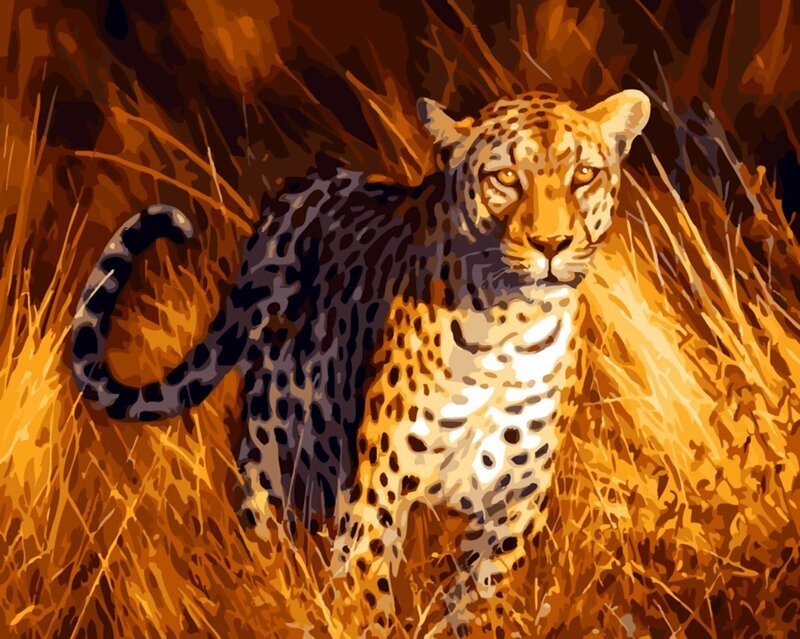 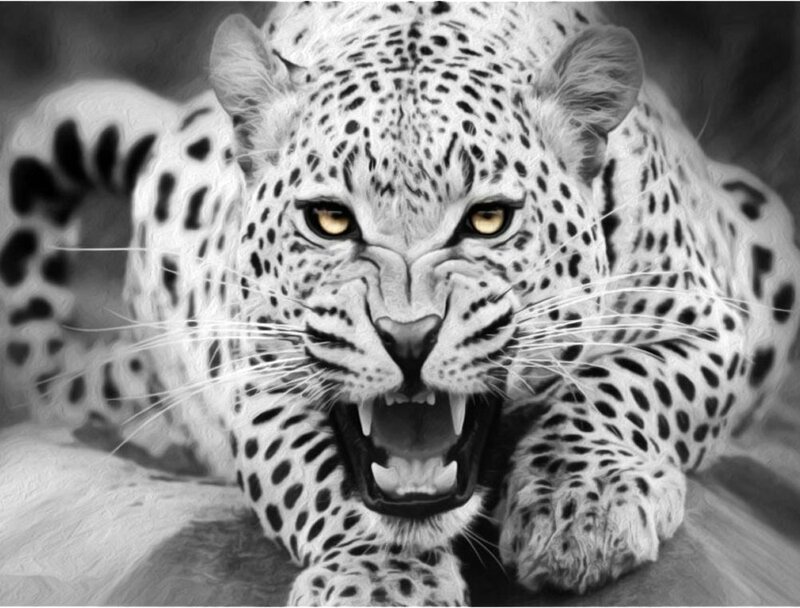 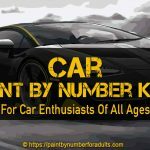 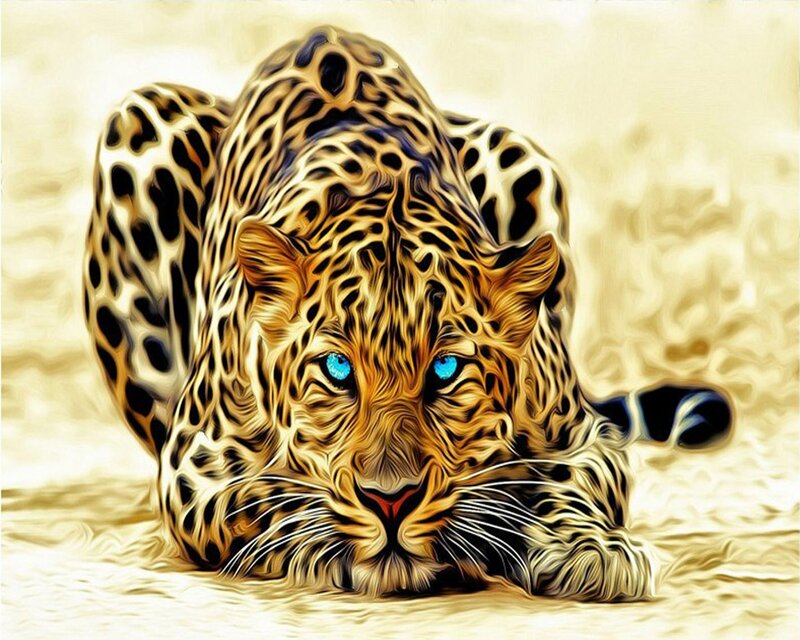 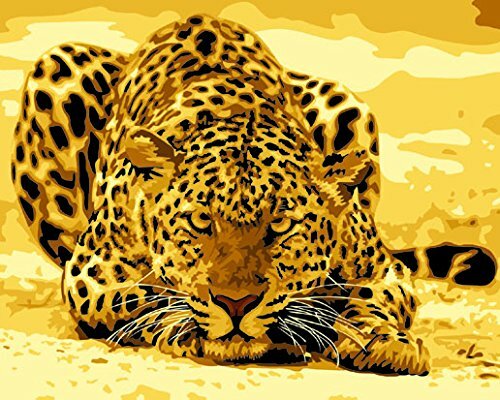 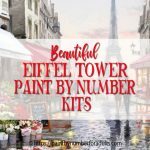 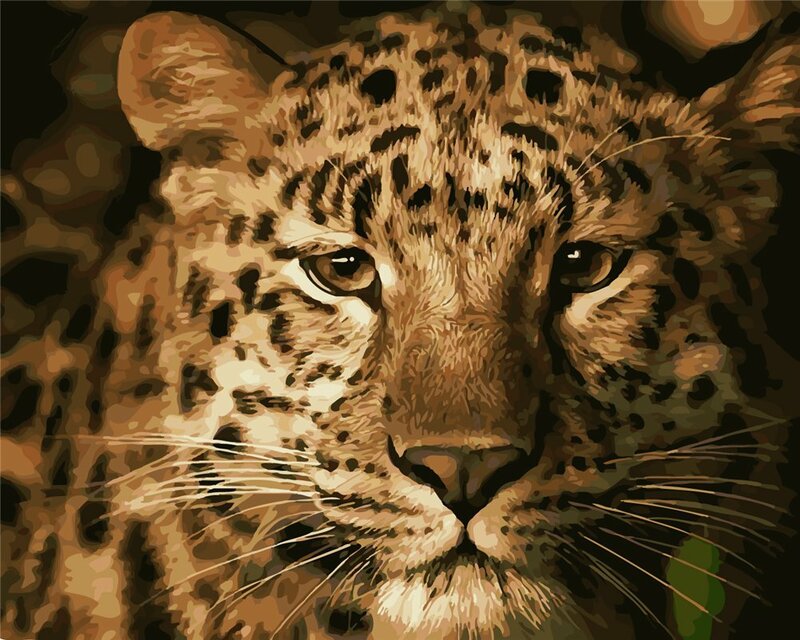 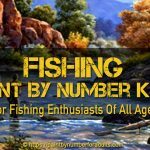 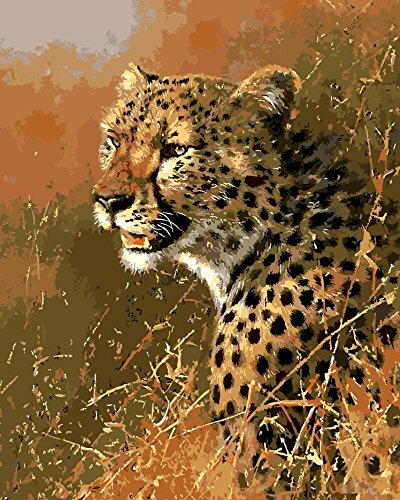 Are you looking for Leopard Paint By Number Kits? 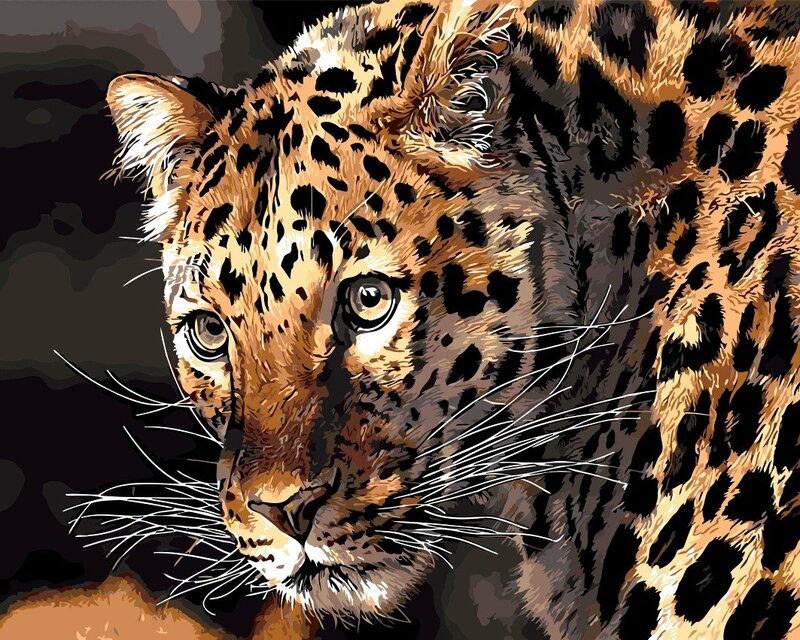 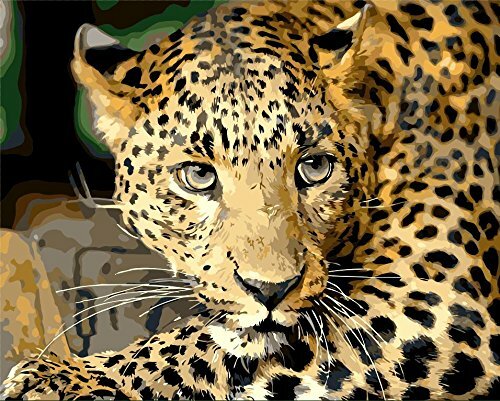 If you love BIG CATS these paint by number kits of Leopards might be just what you are looking for! 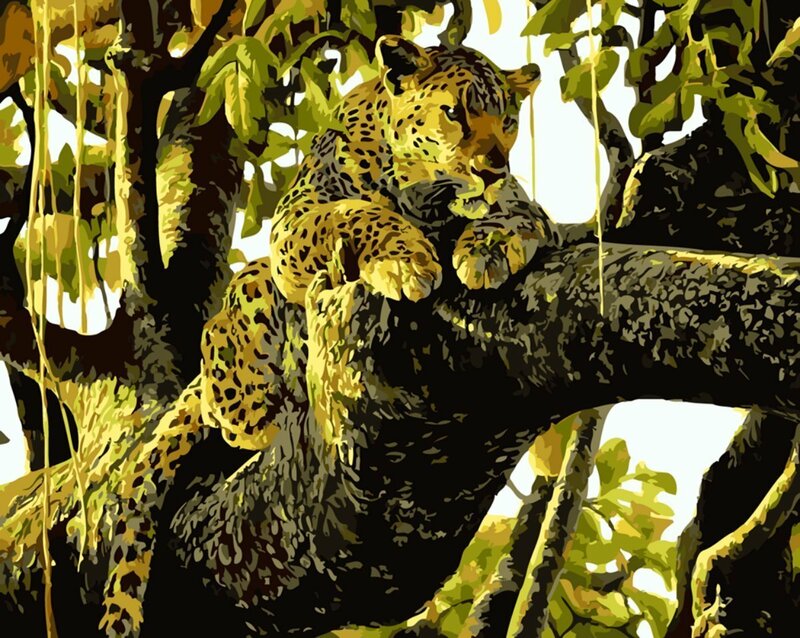 This Leopard paint by number kit measures 16 inches by 20 inches when finished. 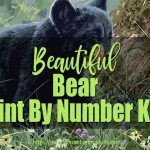 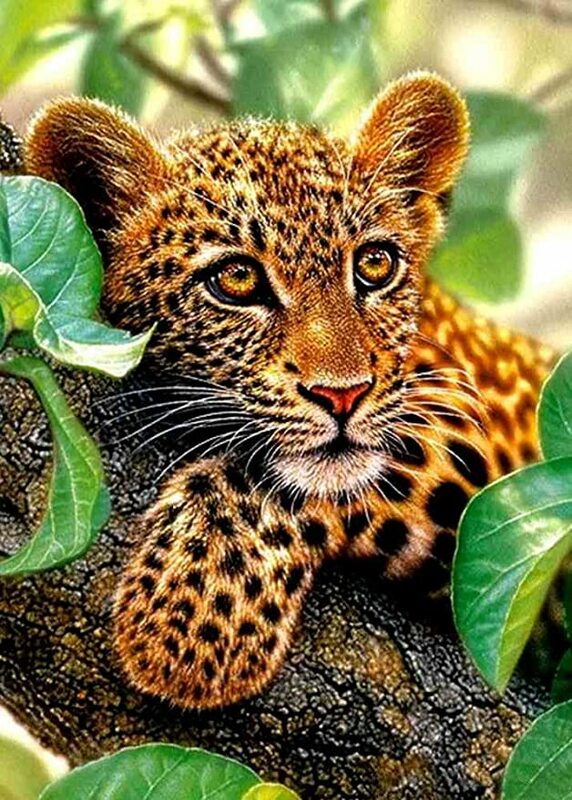 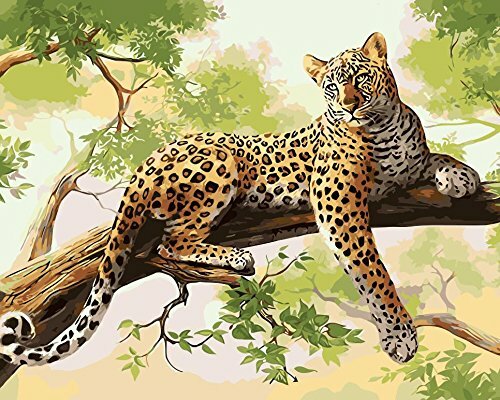 This Leopard Animal Paint By Number paint by number kit measures 16 inches by 20 inches when finished. 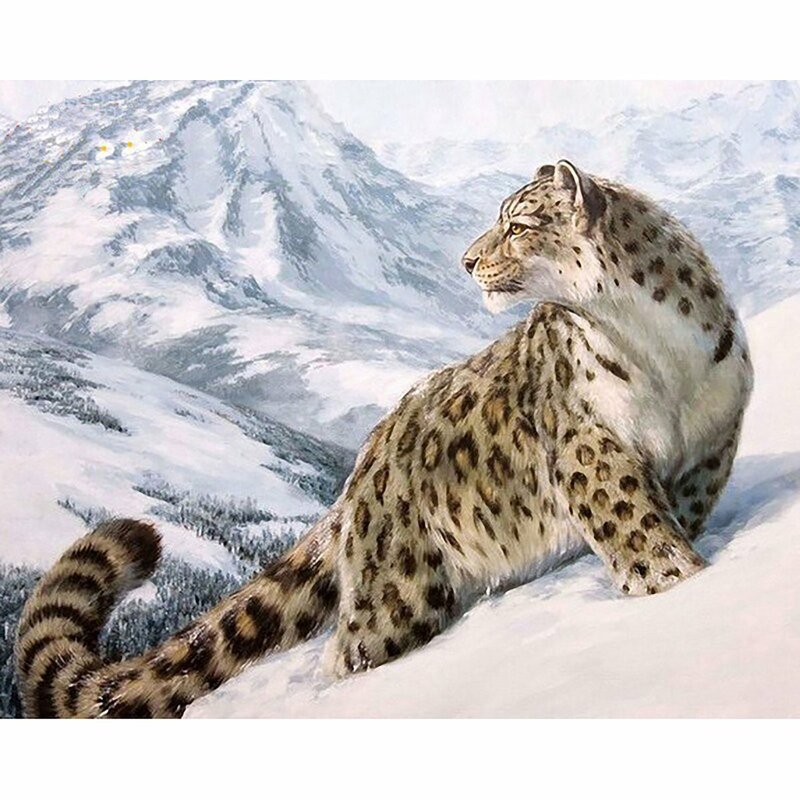 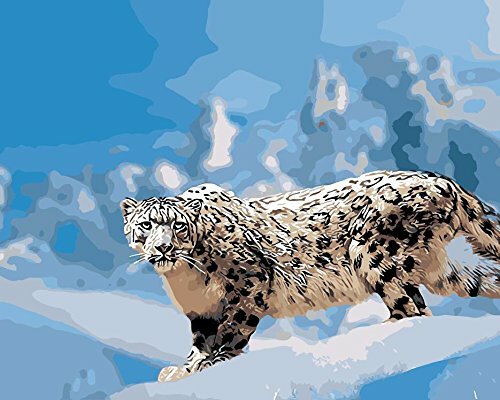 This Snow Leopard Paint By Number kit measures 16 inches by 20 inches when finished. 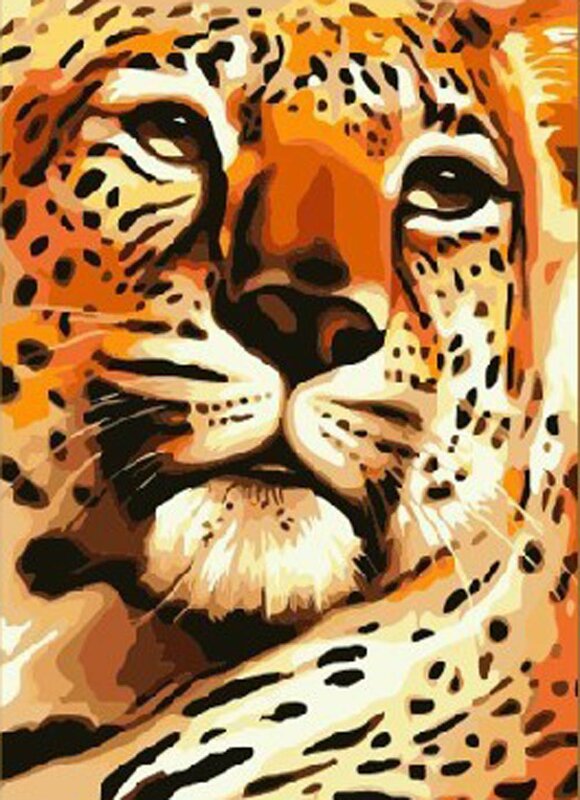 Note: Comes with canvas and is Frameless (NO frame included). 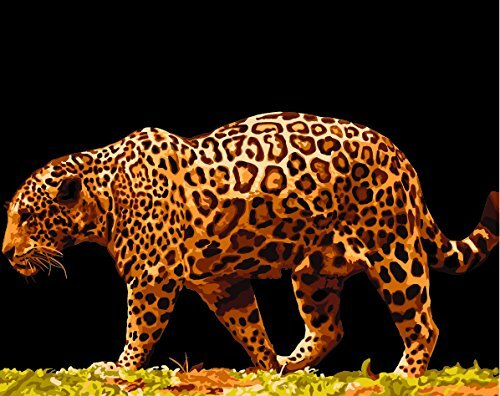 This Evil Leopard paint by number kit measures 16 inches by 20 inches when finished. 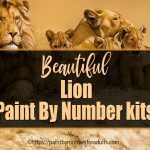 This Keep The Goods To Be Leopard paint by number kit measures 16 inches by 20 inches when finished. 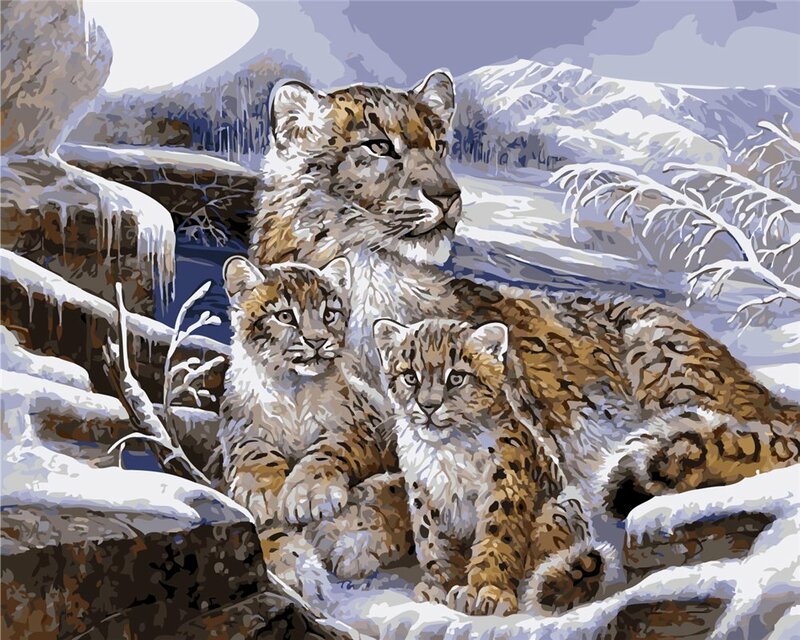 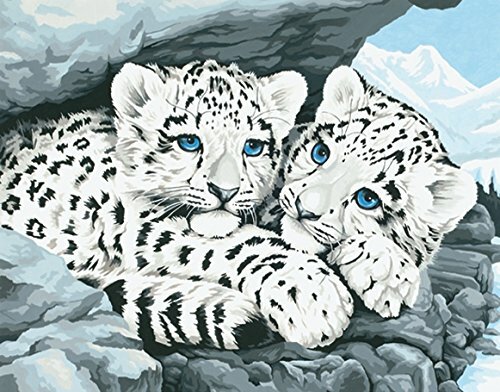 Snow Leopard Cubs is a 14 inch by 11 inch leopard paint by number kit by Dimensions that comes with everything needed to complete this adorable painting. 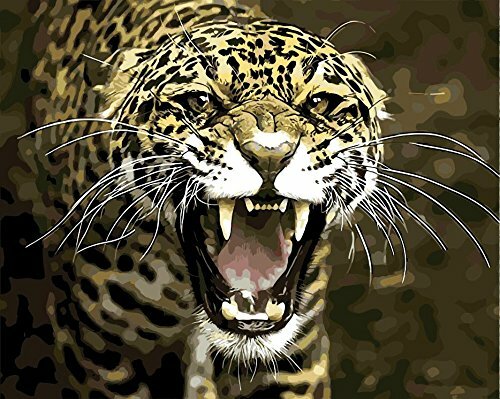 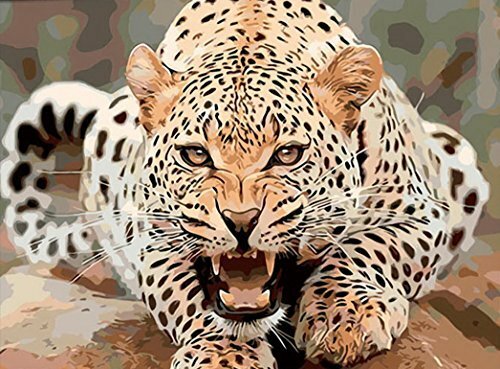 This Attacking Leopard paint by number kit measures 16 inches by 20 inches when finished. 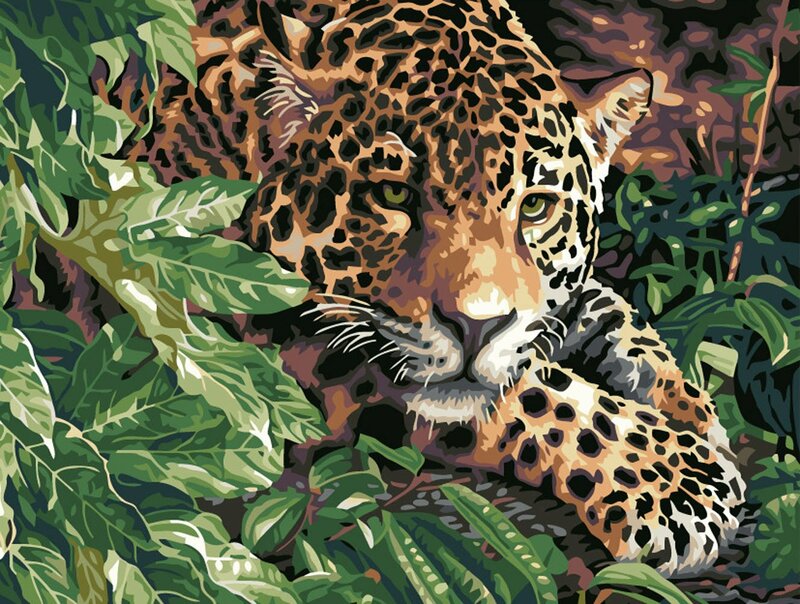 This Woman And Leopards Paint By Number kit measures 16 inches by 20 inches when finished. 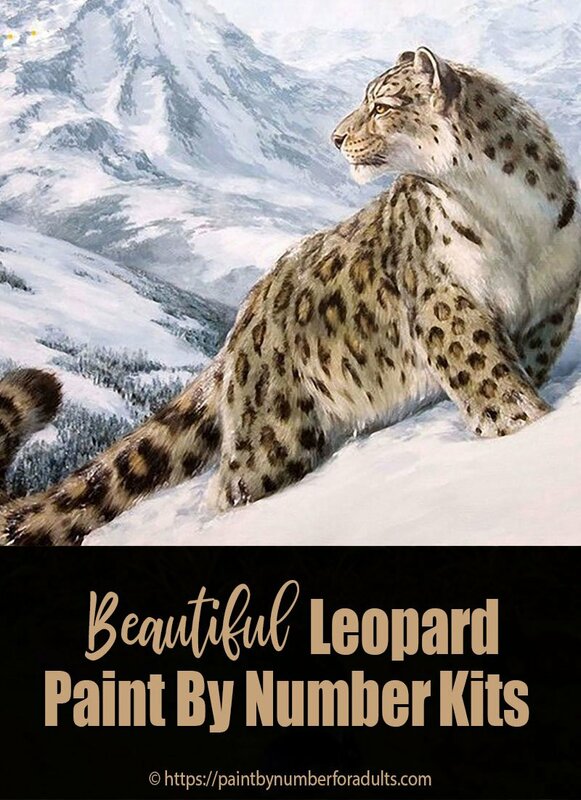 This Beauty Lady and Leopard paint by number kit measures 16 inches by 20 inches when finished. 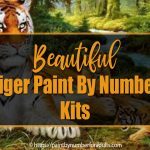 We hope you have enjoyed these Leopard Paint By Number Kits! 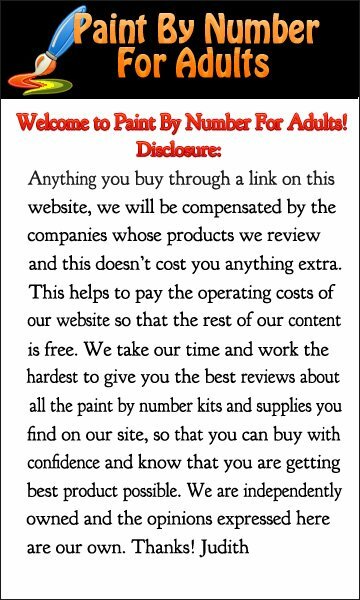 You might also be interested in these other Scenery-Landscape Paint by Number Kits as well.